I have decided to step briefly into the spotlight and introduce myself and the work that I am carrying out behind the scenes for ‘ninemonths of…’, to help make this campaign a success. 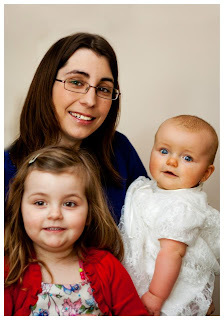 My name is Kimberley and I live in rural Leicestershire with my husband and two wonderful daughters. I am currently a full-time stay at home mother, but with ambitions to fulfil my dream of becoming a midwife in the very near future. Pregnancy Sickness Support is a charity of which I am passionate about raising awareness. Like all of the girls taking part in challenges, I have been unfortunate to suffer from Hyperemesis Gravidarum on two separate occasions. You would think that, after one pregnancy of suffering so badly, I would have learnt how horrendous it is to suffer from sickness all day, every day, for nine entire months! But no, I went back for round two. I am incredibly lucky that out of two horrendous pregnancies, I have been very blessed to have two amazing daughters, Ruby who is just about to start school this coming week, and Lottie who celebrated her first birthday back in July. I considered undertaking some form of wonderful challenge, like climbing three or even six peaks, however this could not happen as I am currently being ordered to put my feet up by my husband following quite a big knee operation last week. Anyone who knows me well, will know that I really struggle to rest and put my feet up and within a few days of having my operation, (which I've been told will require six months of intensive physiotherapy to recover from) I was live on-air at my local radio station giving an interview in support of ‘nine months of…’ and Pregnancy Sickness Support. If you would like to listen to the interview, you can find it here; skip forward to one hour and sixteen minutes to find my piece. My role within the ‘nine months of…’ campaign is very varied. My main focuses are to ensure the smooth running of the website, and help with the content management and planning. In addition to this, I have taken on some of the media and PR responsibilities. I have a wide range of experience in dealing with the media from my freelance work and previous campaigns with other charities. Outside of this campaign, I run a successful blog at http://www.rubypluslottie.co.uk, and write for a number of high profile parenting websites. I would like to take this opportunity to wish all of the girls the very best of luck with their challenges. Nine months of was my support system throughout my pregnancy. I faced a lot of depression soon after I concieved and tis blog helped me overcome my depression.